Portugal have just won their first points in their EURO 2016 qualifying campaign, after visiting and beating Denmark by 0-1 in Copenhagen. The hero of the night was once again Cristiano Ronaldo, who got to score a late winner from a great header, when the game was already deep inside injury time. 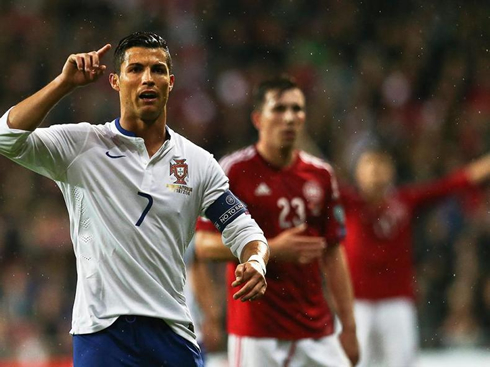 Coming out of Copenhagen with a win was seen as being almost vital for Portugal's hopes of still qualifying for the next EURO 2016. However, few would have guessed that the 3 points would only be secured in the 5th minute of added time of the second half, and through an exquisite header from the Real Madrid forward Cristiano Ronaldo. With this Tuesday's win, Portugal got their first points in Group I after having played two fixtures so far and are now standing in 3rd place, still behind Albania (4 points) and Denmark (4 points achieved, but in 3 games). Cristiano Ronaldo will be returning to Madrid this Wednesday since La Liga's action will already come back this Saturday afternoon, with Real Madrid paying a visit to Levante. 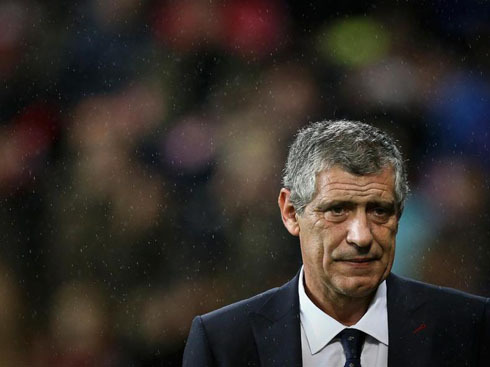 In his second game commanding the Portuguese National Team from the bench, Fernando Santos decided to bring on a couple changes to his starting line-up and judging from what we've seen last night in Copenhagen, he seems to have got them right. Portugal kept their classic 4-3-3 formation with Rui Patrício in goal, right behind a back-four formed by Eliseu on the left, Cédric on the right, while both Pepe and Ricardo Carvalho (replacing Bruno Alves) partnered up in the center. In front of them, William Carvalho (replacing André Gomes) played in his preferred defensive midfielder role, receiving the necessary help from his teammates Tiago and João Moutinho. 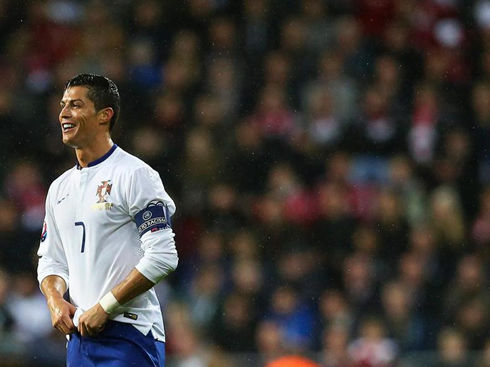 The attacking initiatives were carried out by a very mobile front line, with Danny, Nani and Cristiano Ronaldo completing Portugal's starting eleven for this match against Denmark. 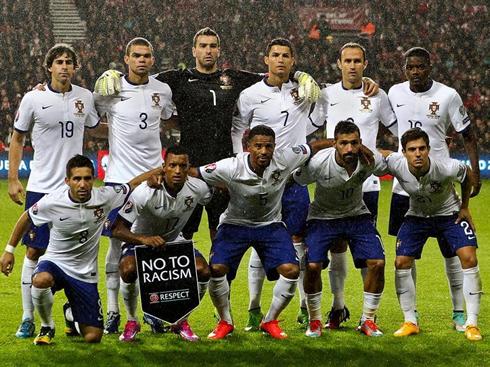 The second half basically started with Portugal coming out in a more desperate tone. If in one hand, the draw could actually be an interesting and positive result for Denmark, it sure wasn't for Portugal. Probably driven by those thoughts, Fernando Santos' men earned a golden opportunity to go one goal up shortly after the break, when a short pass from Danny allowed Cristiano Ronaldo to go 1-on-1 with Kasper Schmeichel. For a moment there, the Danish goalkeeper seems to have got himself inspired in his own father and former Manchester United legend, Peter Schmeichel, and managed to deny Cristiano Ronaldo the opening goal with a brilliant stop, blocking the shot with his legs. However and after everything seemed to be leading this match to a goalless draw and for the two teams splitting points, Portugal would somehow manage to score in the very last breath of the game. Naturally, it was Cristiano Ronaldo who clamed the spotlight in such a crucial moment, as he headed the ball into the back of the net in the 5th minute of injury time, responding to a perfect cross from Ricardo Quaresma. However, it's still not perfectly clear if it was Ronaldo in fact the only player heading the ball, since it appears that it may have also been deflected on the top of Kjaer's head before going past Schmeichel in Denmark's goal. Either way, the goal was credited to Ronaldo and Portugal completed their mission successfully by bringing back home the 3 points. 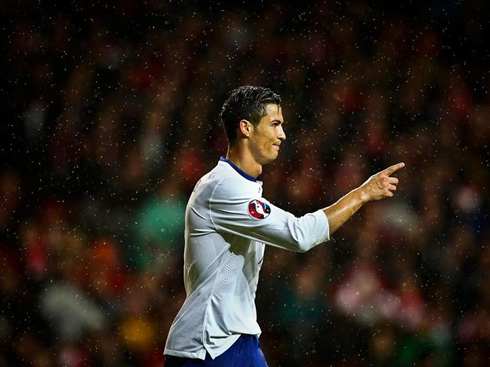 Cristiano Ronaldo next game for Real Madrid is a Spanish League fixture against Levante, on October 18 (Saturday). You can watch Juventus live stream, Levante vs Real Madrid, Barça vs Eibar, Manchester City vs Tottenham, Crystal Palace vs Chelsea, and Bayern Munich vs Werder Bremen, all matches provided from our football streaming section.